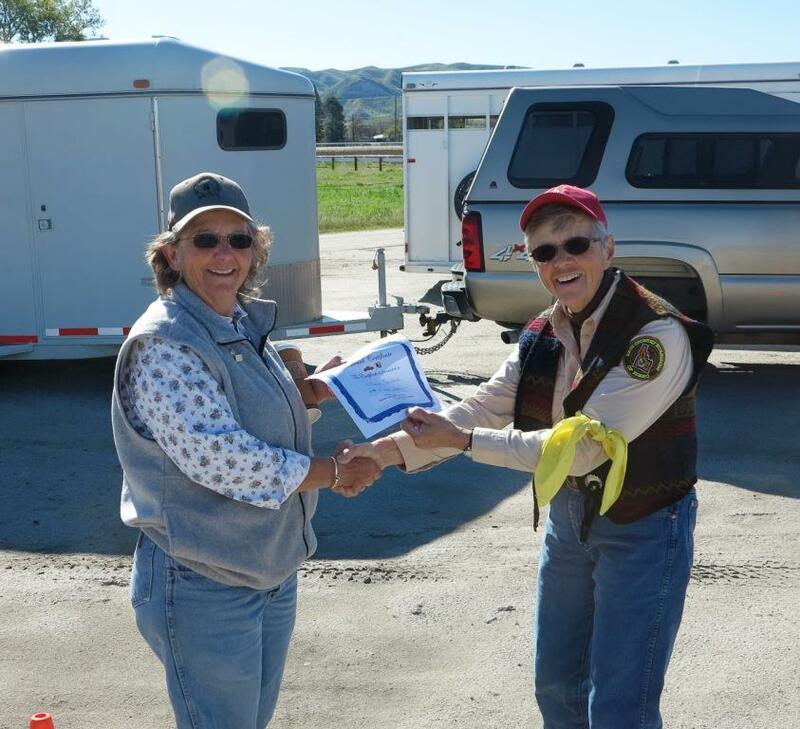 April 29 dawned a clear and promising day for the Squaw Butte Trailer Rodeo and Pack Clinic. In 2016 the rodeo weather could only be considered challenging with high winds and heavy rain, but today was going to be great. Rodeo instructors Lorraine & Charles Chick and Nancy Smith set up the trailer challenge course in the parking lot of the sand lot arena in Emmett, Idaho. 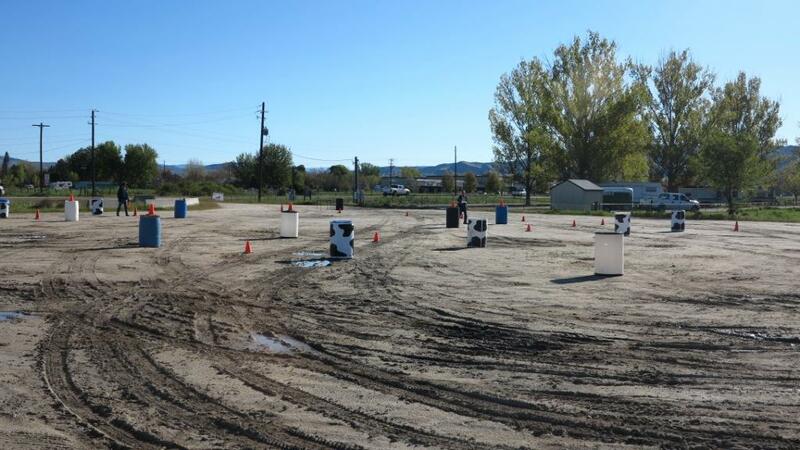 The course consisted of a number of trailer challenges that would both test the drivers abilities and help them learn tricks and techniques to make trailer handling easier. 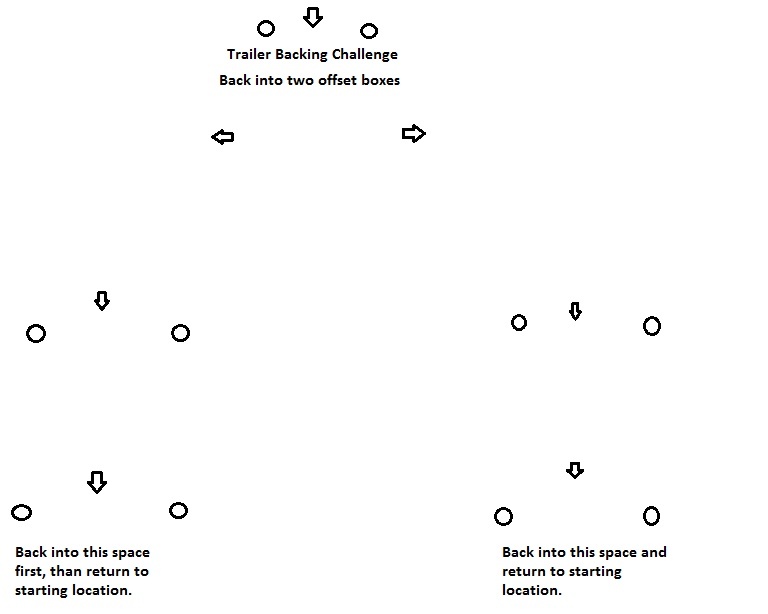 One of the challenges was to back your trailer into a space that was offset from your starting location, requiring the driver to perform a backing “S” to both the right and left. Meanwhile in a corner of the parking lot, well away from the trucks and trailer member / instructors Phil Ryan, Bill Conger and Rob Adams brought numerous examples of packing equipment and different packing saddle type and with members and guest talked about advantages and disadvantages for different pieces of equipment, proper packing techniques, how to build loads and tie manties. Box, Basket, Barrel and Diamond hitches were demonstrated and discussed and participants had lots of hands on time to understand the techniques and learn some of the tricks. What we take and why was discussed and suggestions were made for proper stock handling so you don’t end up with your equipment next to a perfect mountain lake and your stock back at the trailer many miles away without you. All who participated said it was a very worthwhile day. Consider joining us at a future clinic!